Dietary supplements lend a smart and safe use of vitamins and minerals. 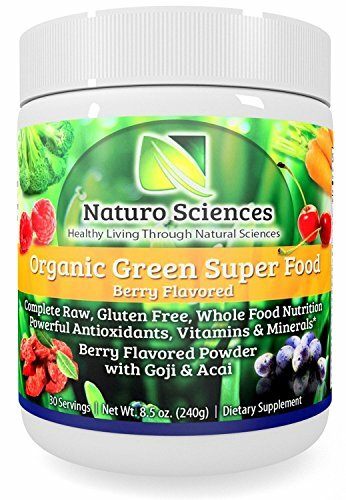 And when it comes to dietary supplements, Garden Greens is a reliable name that is offering a wide variety of rich green, antioxidant food supplements that aim to enhance energy levels and metabolic activities through their high quality ingredients. These supplements by Garden Greens are an attempt to provide you with all the health benefits embedded in natural products, which were meant for you to enjoy. Garden Greens Apple Pectin Capsules contain “Apple Pectin” which is a natural soluble fiber and is known to have a number of health benefits like: positive effects on digestive health, regulates bowel movements, an anti diarrhea agent, prevents heart diseases and controls blood glucose level. Why Take Apple Pectin Capsules? Many fresh fruits and veggies like apples, grapefruits, apricots and carrots are a rich source of pectin. Since many people do not consume fruits and vegetables regularly, they are usually short of an adequate amount of pectin and need regular supplementation. Packaging: Garden Greens Apple Pectin Capsules are packed in a small, white plastic container/bottle with 120 capsules in each container. Potency: Each capsule is endorsed with 500 mg of apple pectin. Other Ingredients: Besides apple pectin, these capsules also contain differential amounts of: Gelatin, Vegetable Magnesium Stearate & Silica. Supports Regularity: Apple Pectin is a source of soluble natural fiber. It aids in maintaining regularity in bowel movements. Intestinal Health: Regular use of Garden Greens Apple Pectin Capsules should help you to maintain a healthy digestive tract as it neutralizes acidity in your large intestine. Relief from Ulcers & Colitis: These supplementary capsules, when taken on a regular basis may provide a temporary relief from the discomforts associated with ulcers and colitis. Diet & Weight Loss: Being soluble natural fiber, apple pectin may promote intestinal health and aid in a healthy detox. Regular use of Garden Greens Apple Pectin Capsules may therefore, be a part of a weight loss and diet program to initiate & maintain a healthy detox mechanism as it removes unwanted toxins from the colon and cleanses intestinal tract. Cholesterol Control: Continuous, daily consumption of these antioxidant capsules aims to lower the blood cholesterol level and therefore, works towards a healthy heart. Blood Sugar level: These dietary supplements when taken over a period of time, seem to help in maintaining healthy levels of blood sugar. If taken in high amounts, these apple pectin capsules may lead to bloating and cause pains & cramps in the abdomen. It may act as a bowel regulator but if consumed highly, may cause diarrhea. Absorption of other medications may be interfered by these pectin supplements. 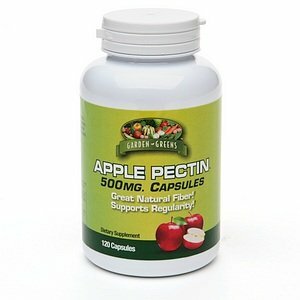 Ideal dose of Garden Greens Apple Pectin Capsules (500 mg) is 1 capsule after every meal. Should be taken along with a plenty of fluids as pectin is a soluble fiber and works well with fluids. Should be stored at 59˚ F- 86˚F. Should be kept away from moisture, light & heat. Gordon Greens Apple Pectin Capsules provide natural fiber that helps to regulate healthy bowel movements along with a number of other health benefits. 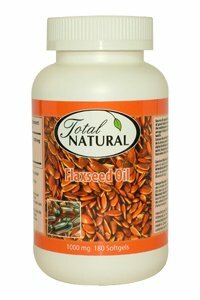 These dietary supplements should be taken regularly to optimize the desired effects. Care should be exercised not to slip into high intake as it may cause serious side effects. A bottle of 120 capsules is available over at Amazon.com with free shipping.